Emilia’s Home & Pet – One Stop Shop For All Your Needs! Are you a business owner who always feel short on time because of dividing yourself towards home and business? Are you a professional who wants to maximize your potential in the corporate world but don’t want to live your pet alone during long working hours? Or a working family couple who wants to travel the world yet you don’t want your home to be neglected? Your ultimate solution to live life to the fullest has finally arrived! In this fast-paced modern world, time management is becoming harder. That’s why you should only focus on 20% of the work that gives you the 80% results. It’s the 80/20 Rule or the Pareto Analysis. We are here to do your home responsibilities that are holding you back from doing the things you love. Everybody deserves time to make most out of life. Emilia’s home & Pet is a one-stop shop home cleaning / maintenance and Pet Minding services provider in Wollongong and the Illawarra area. We offer a wide range services to let you focus on the things that are the most important and you really love. Fast and reliable, we offer weekly, fortnightly, monthly or even customized home maintenance schedule to suit your special needs. Emilia’s home & Pet has already a proven track records in the industry. No job is too big or too small. Our team is composed of highly trained professionals and experts that are fully insured. Let us do the initial Audit for FREE! We offer FREE Home Cleaning & Services Audit for us to define your special needs and address to it in the most efficient and effective way. It is valued at $47, but we are giving it for FREE! No strings attached. Non committal. No obligations for you to avail our services after the Audit. We just want to help you identify what your home sweet home really needs. Then the decision is all yours. Emilia’s has been providing cleaning and pet minding services since 1998 in Wollongong – Illawarra area. We guarantee you a fast and reliable home cleaning and pet minding services. Done properly on time. We don’t have the guts to risk our 17 years of solid reputation and proven expertise. Let us suffer if we don’t deliver. Put us to the test! When we are unable to do the work ourselves since 2010. Emilia and her team are always efficient, professional and we know we can rely on them to do a good job, helping our family and small business. I have known Emilia ( Emilia’s Home & Pet ) for more than 10 years. 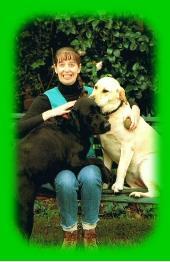 She has always done an excellent job caring for my dogs. Emilia is very well organised , efficient , and has an excellent rapport with my dogs. 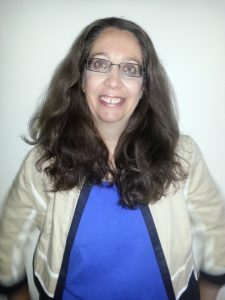 Emilia De Sousa is a fun-loving person, entrepreneurial spirited individual and a competitive woman. She started Emilia’s Home & Pet to address cleaning concerns and time management problems of the people of Wollongong – Illawarra area. Her “let’s go” attitude, perseverance and love for pets and home services made her and the company a huge success and able to establish a strong brand in the industry. Been featured on Illawarra Mercury Newspaper 3 times. Was featured on That’s Life magazine.